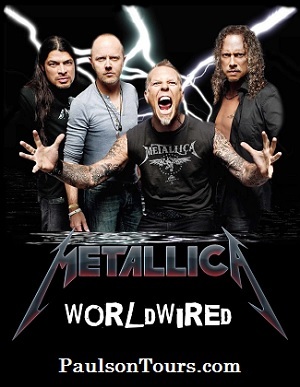 Join us to see Metallica ~ WorldWired Tour at Bryce Jordan Center in State College! Seating is in pairs at the current price. For guaranteed 3 or more together call the office for a price. Prices will increase without notice. Book online below or call us at (570) 706-8687. Looking for different tickets? Click on the picture below to search for tickets only and then call us to add Motor Coach and Tailgate!